Geo F Trumper's Extract of Limes Skin Food is a specially formulated light, non oily, glycerine based product that can be used before or after the shave. Skin Food nourishes, moisturises and protects the skin, allowing the razor to glide as well as sealing the skin after shaving. Trumper's Extract of Limes scent is an infusion of the tangy sharpness of freshly squeezed tropical limes with vibrant citrus flashes - very exhilarating! When used as a pre shave, Trumper's Skin Food softens the bristles, adding nourishment to protect the skin and allows the razor to glide giving a comfortable shave. Using a small amount of Skin Food after shaving seals the skin whilst also soothing, nourishing and moisturising the newly shaved skin. This is a fantastic and versatile product that can be used before or after shaving. It is especially suitable for those with sensitive skin. The extract of lime is tangy, revitalising and will freshen any skin before or after the shave. 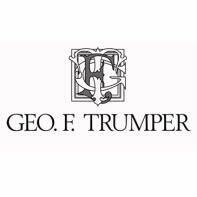 To view our complete collection of Trumper's products, click here. Rosa Damascena Rose Flower Distillate, Aqua Water, Glycerin, Alcohol Denat., Astragalus Gummifer, Parfum Fragrance, Menthol, Benzyl Alcohol, Methylchloroisothiazolinone, Methylisothiazolinone, Citral, Limonene, CI 19140 FDC YELLOW 5.